Why use WordPress for Business Websites? WordPress is Awesome. Without a doubt, WordPress is the most Popular CMS out There in the market. WordPress powers more than 80 million websites and has largest market share among popular CMS like Joomla, Drupal, and Magento. One of the main reason for the popularity of WordPress is it is easy to use and manage. WordPress is open source and free. Be default design, WordPress is very SEO (Search Engine Optimization) friendly. By using Plugins like Yoast SEO and All in one SEO pack, you can make sure meta description & title are put in place. Most of the people using WordPress are neither programmers nor web designers. As most of the folks start using WordPress as a novice. The reason why WordPress is ideal for a novice, there are thousands of themes and plugin available. There are 2800+ themes, and 46,000+ plugins available on WordPress Platform and some of them are free. You can install it and use it to create your website. WordPress also has extension library for web browsers like Chrome and Firefox. WordPress is free CMS that means it is free to download and install. You can use WordPress to create any website, e-commerce or blog. On top of that, WordPress is open source. That means you can customize and improve the code of origin to create the website that suits your needs. One of the main reason why WordPress powers so many business websites is it is easy to use. Just a one click installation and WP is ready to use. There are inbuilt functionalities user management, blog publishing, previous revision storage, RSS Feeds and much more. Once it is installed, you can start publishing pages and blog post; you can also do custom configuration without any programming knowledge. WordPress support multi-user functionality. In WordPress, You can it is easy to assign different roles for different people. For example, You can assign “Author” to somebody who can publish and manage their post. With “Editor” role he can edit/manage the post that has been posted by the author. “Subscribe” is someone who can only manage their profile and receive a regular update on the website. WordPress is developed with privacy and security in mind. It is considered quite safe to run any website on WordPress. Many plugins offer you advance security to protect your site from any external attack. You can also monitor the security in real time with these plugins. WordPress rolls out newer and updated version now and then. It has the backing of robust WordPress community. It hires top-notch developers so it will only get better with time. That means, your website will keep moving forward as the web does. You can also update your front end design without changing anything to the database. With Integration plugins like WooCommerce, Wp eCommerce your website is ready to sell your product/services with WordPress. These powerful plugins will convert your WordPress website into digital eCommerce store. You can quickly get started to sell online with WordPress. WordPress comes with robust community. If you need help, you can go to WordPress Forums where you can troubleshoot any question or concern. WordPress van is the best platform for the business website. You can do everything and anything with WordPress. 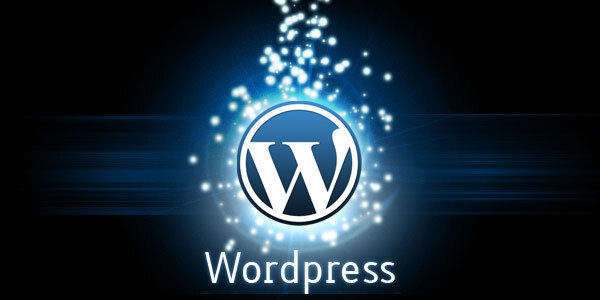 WordPress has gorgeous themes and plugins that make it more attractive to use as CMS. WordPress community can help you to overcome any difficulty which you might have during operation of the website. Hence, it is recommended to use WordPress as your business website if you are looking for a scalable and robust platform for the site.